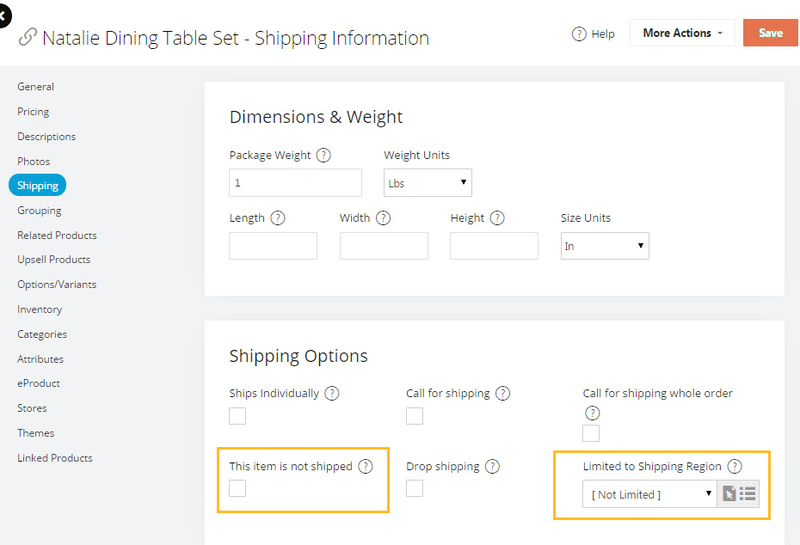 Sometimes no shipping options appear in the Please Select a Shipping Method dropdown list. There can be many reasons behind this problem, most of the common issues are explained below. Browse to Settings > Shipping > Shipping Providers. Here, you will see a list of all the shipping providers. At least one of these options should be set to Active (True). In case you are not using the preset shipping providers, please see the next option. Browse to Settings > Shipping > Custom Shipping Methods. 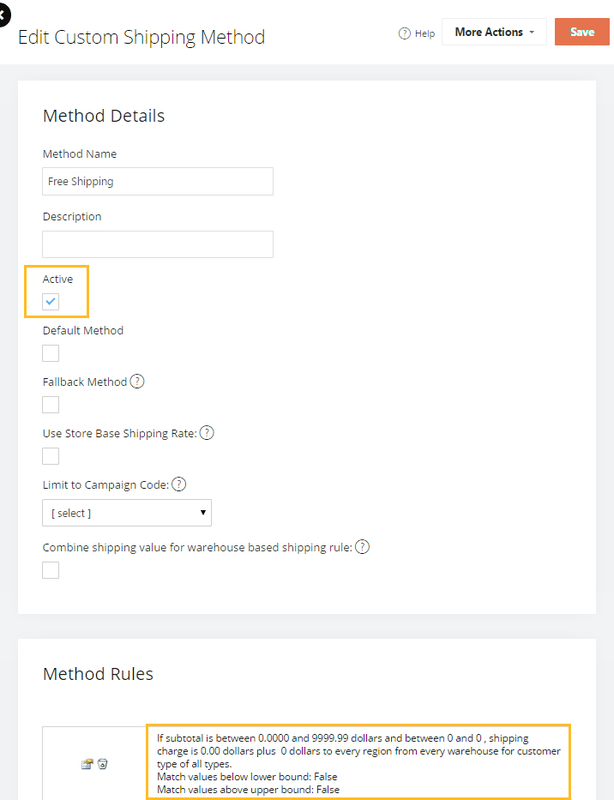 Select a custom shipping method by clicking on the edit icon. At least one custom shipping method should have the Active option enabled. Browse to Settings > Shipping Regions > Shipping Regions. There should be at least one region created. To create a new area click the New button in the top-right corner. You can read more details about Global Regions in this article. Sometimes, products are configured so that either shipping settings do not apply or they clash with the product settings. If you are facing problems with particular product(s) then open then in the Product Editor and check the following. 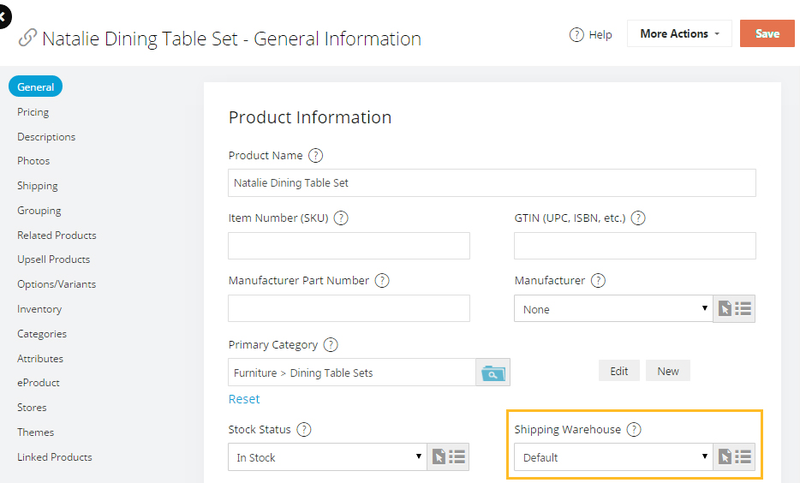 Verify that the warehouse selected in the Shipping Warehouse also exists as described under Step 4 above. 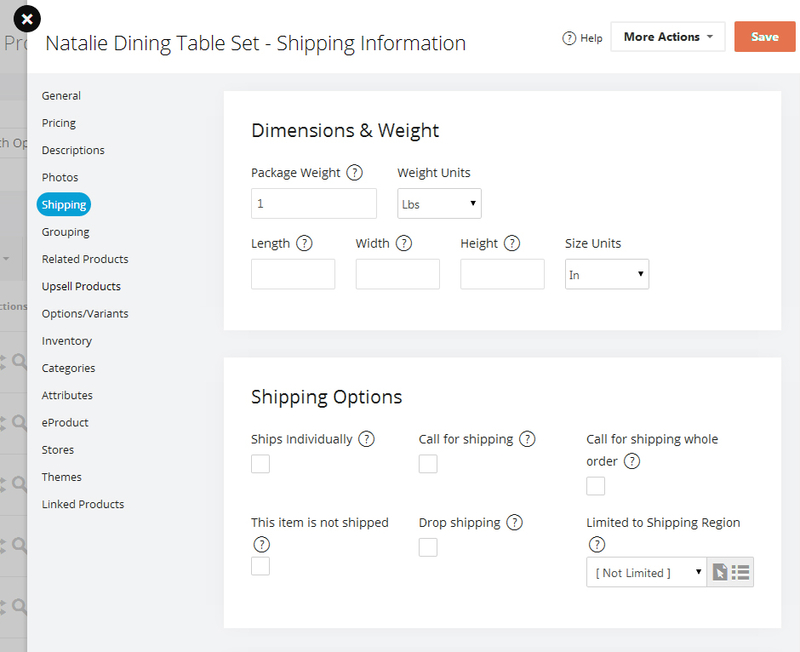 This option must be disabled for shipping options to show. By default this option is set to [Not Limited]. This means the product can be shipped anywhere within the defined Global Regions. In case you wish to limit shipping to a region, make sure the shipping address falls within that region, or the shipping options will not show. Open the store shipping settings page. In case you do not wish to ship outside of regions then enter a message in this text box. This message will show up when customers enter a shipping address that is outside defined shipping areas. Enter a message and phone number in this field if you want to ship outside of defined Regions but would like your customers to call up to place their order for such shipping. 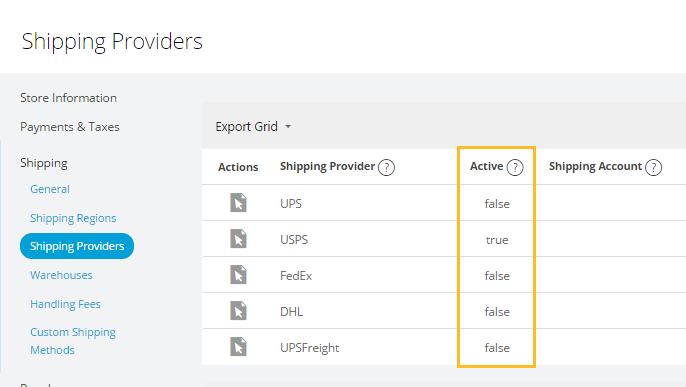 On the same Store Level Shipping Settings page,scroll further down until you see "Shipping Service Settings"
Here you will see all the configured shipping providers (including all Custom Shipping Methods). The only time that you should have the Inactive box checked is if you do not want to use that Provider or Service. If all options on this page are set to Inactive then you have no means of shipping products so no shipping options will appear. You must have at least one entry on this page as it is used to calculate shipping costs.